Ahim’SA promotes non-violence and peace through Yoga. 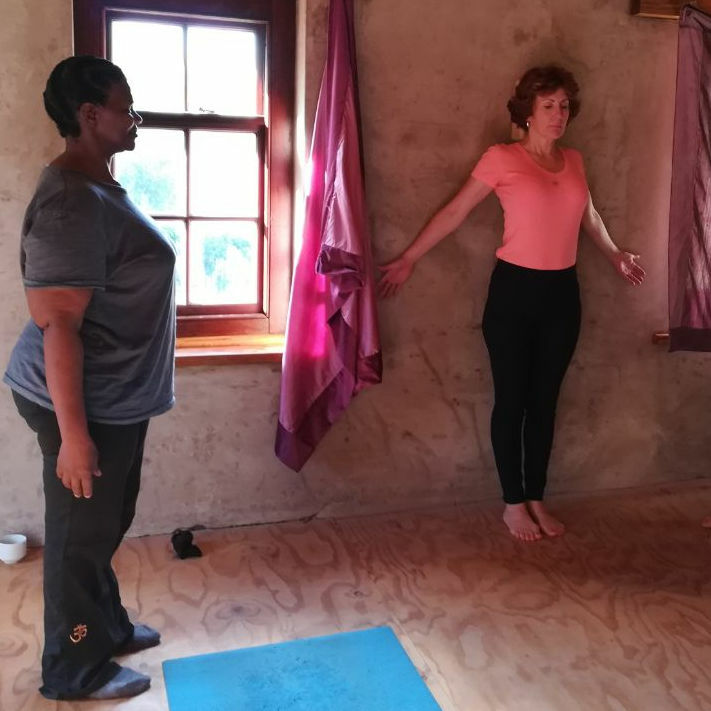 We offer free classes and certified Yoga teacher training in townships near Cape Town. By learning how to grow, we learn how to live together. Our activities aim at improving everyone’s life, essentially with the hope to reduce the level of violence in our world. Ahim’SA is taking Yoga out of the studios and making it accessible to all, especially communities who would not normally have access to the many benefits Yoga offers. The organisation was started by Sylvain Lonchay, a Swiss Yoga teacher and Yoga therapist, and Branislav Korkodelovic, a Swiss medical doctor. Both of the founders have close ties to South Africa, and Hout Bay in particular. The Trust was called Ahim’SA, a sanskrit word meaning “non-violence”. The organisation offers free Yoga classes to all. 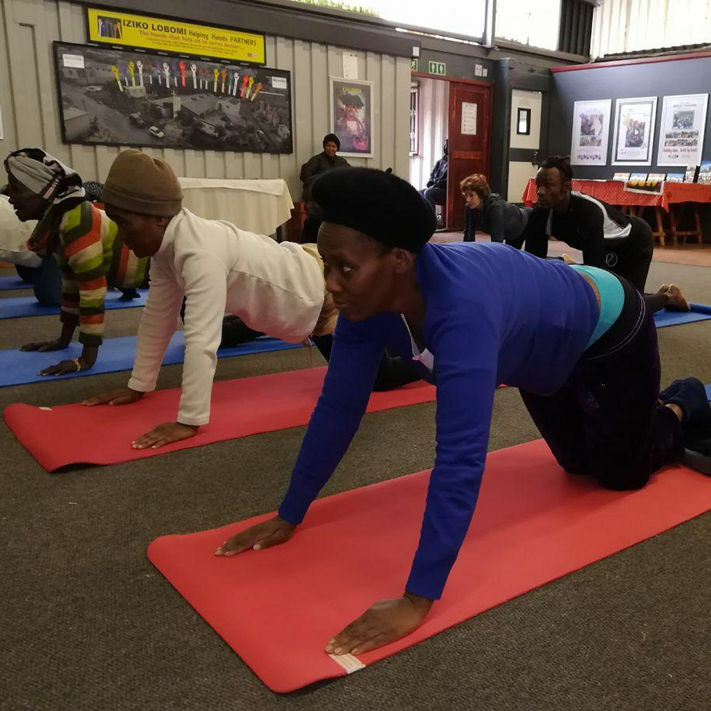 The classes offered at the moment are for Seniors, Recovering Addicts, School Teachers and Pupils, Pre-Natal, Creche, Soccer Teams and also a Yoga For All class. Demand is growing! 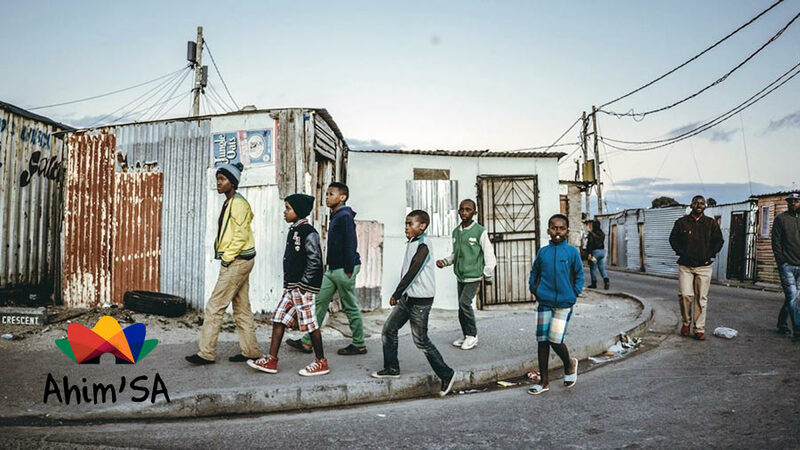 The organisation is self-funded, we would love to be able to offer more classes each week to change the lives of not only more Imizamo Yethu residents, but to every one willing to join in order to promote diversity and living togetherness. Ahim’SA also offers a free 200-hour Yoga Teacher training certification which is internationally recognised. This provides an opportunity for dedicated and committed members of the local community to get a qualification. Thereafter, they will be employed to teach Yoga classes for the Trust and it provides them with a skill to be able to work elsewhere and generate additional income for themselves. The Trust is reliant on volunteer teachers to facilitate the classes at the moment, certified Yoga teachers can enrol in courses offered by Sylvain Lonchay to enhance their existing skills. The courses are free, while all participants commit to teaching Yoga in the community, a wonderful karma Yoga (selfless giving) opportunity for teachers. 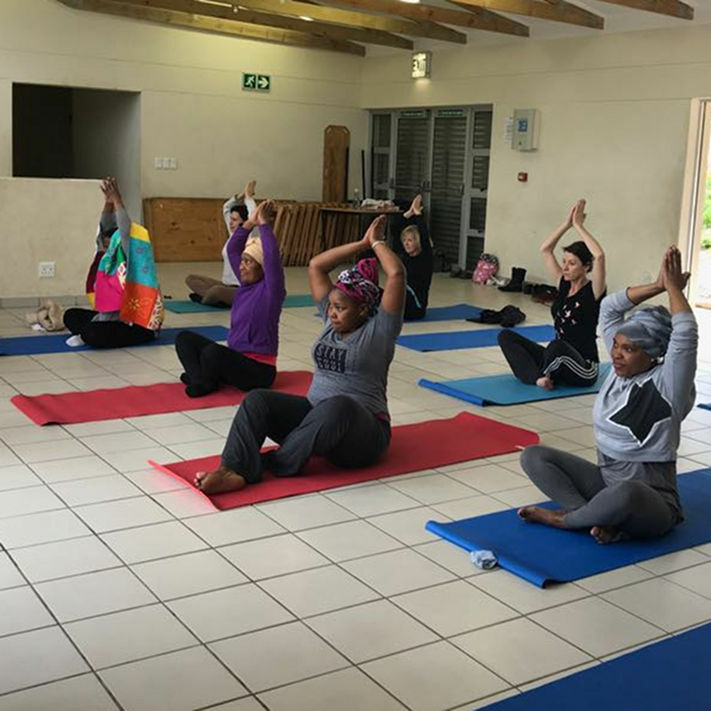 Please consider donating, via the crowdfunding campaign at https://www.givengain.com/cc/promotepeace, volunteering as a Yoga teacher, donating any pre-loved Yoga mats or liking and sharing the page on Facebook @ahimsaafrica.